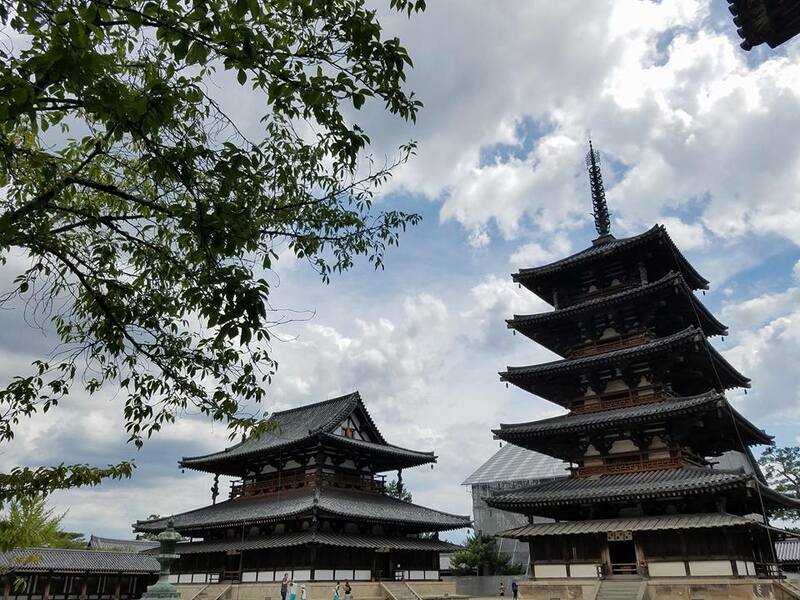 Back in the summer of 2016, when I was staying in Japan for a month, I had an interesting experience while I was visiting Nara. When I first arrived, I wheeled my bags down the street and dropped them off at a small Ryokan. I then spent as much time as I could (while it was still light) at Todaiji temple, making a sketch of the enormous Buddha, before it got dark that night. After a long day of travel from Hiroshima and walking in Todaiji, I enjoyed some nice fast foo­d at CoCo Curry – the first and only curry rice that I had in Japan. It was glorious. On my second day there, I planned to spend it at the temple with the oldest wooden structures in the country, Horyuji temple. So I set off with my art equipment and camera, and took a train south to the town of Ikaruga. 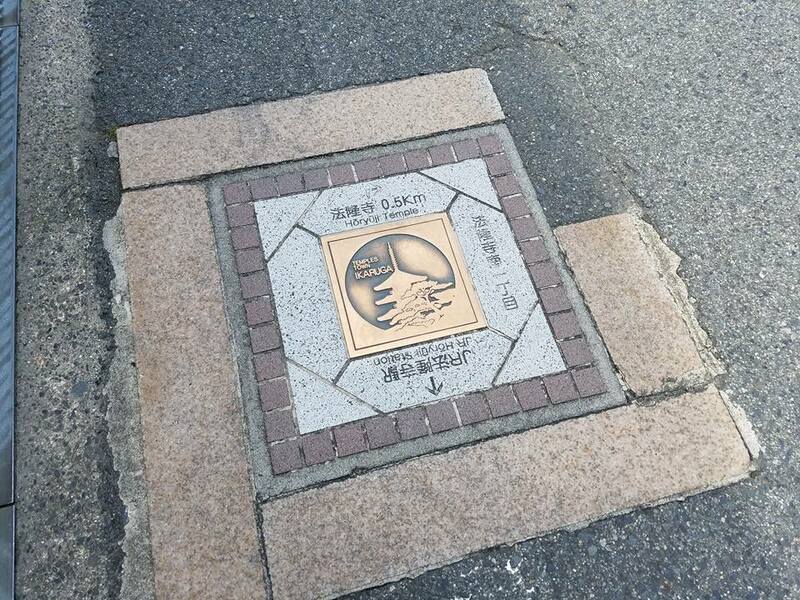 I have to say, the town maps in Japan are really everpresent, and I’m very grateful for it. 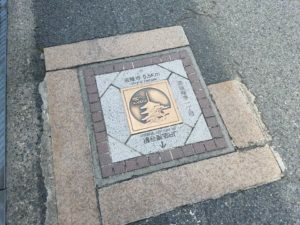 In addition, in Ikaruga in particular, there are actually manhole covers lining the street that have arrows towards and away from Horyuji temple. All throughout the temple grounds, there were people taking pictures, or sitting down in the corner to draw, or read. It was very peaceful. There were some strange signs that said “no photographs, no sketching”, but no one seemed to be paying attention to them, and the monks didn’t say anything to the others. Halfway through the temple, there was a sudden downpour of rain that flooded the streets for 15 minutes, and then all the clous disappeared again. Little did I know at the time, that was my omen. When I came out of my hiding place, I entered the final section, the large, enclosed area with several pagodas and towers. Once again, there were people taking photographs everywhere, despite the “no photographs, no sketching signs”. I even took a Japanese person and her friend’s photo, and they took mine, right in front of the main temple and all the monks. However, when I found an angle that I wanted to sketch the grounds from, and sat down with my pad of paper and art materials, a monk came straight over and put his hand in front of me, as though my view of the temple while drawing was forbidden. No sketching, he said. I asked why and he just said Rules are Rules, and to please leave. That was the day I was kicked out of a temple by a priest.